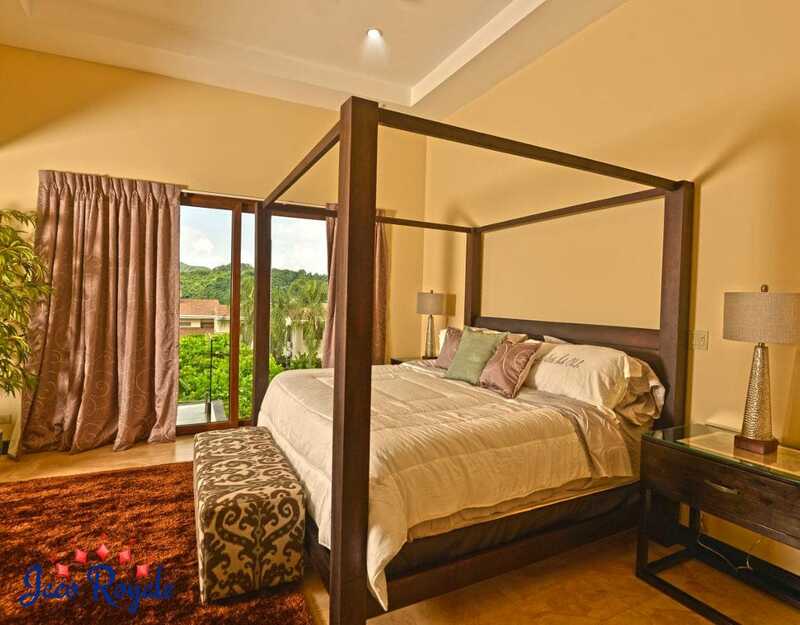 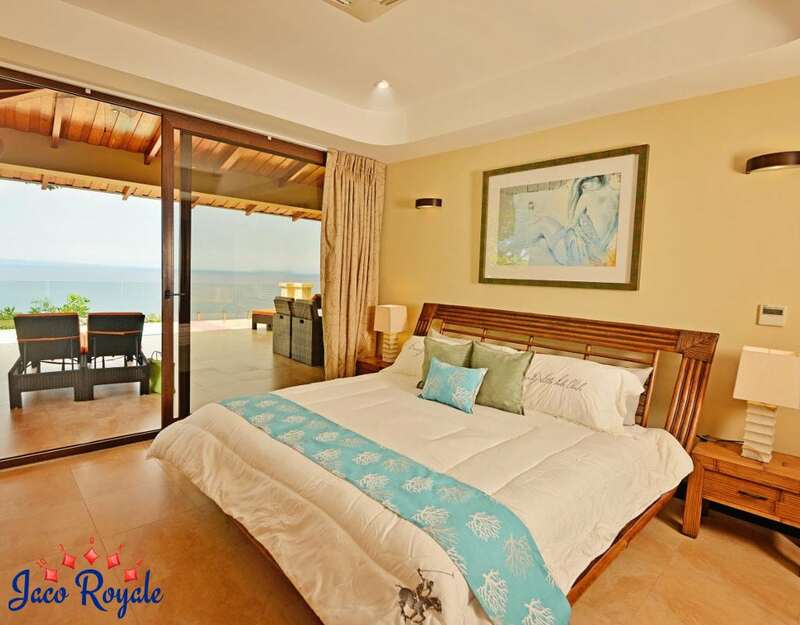 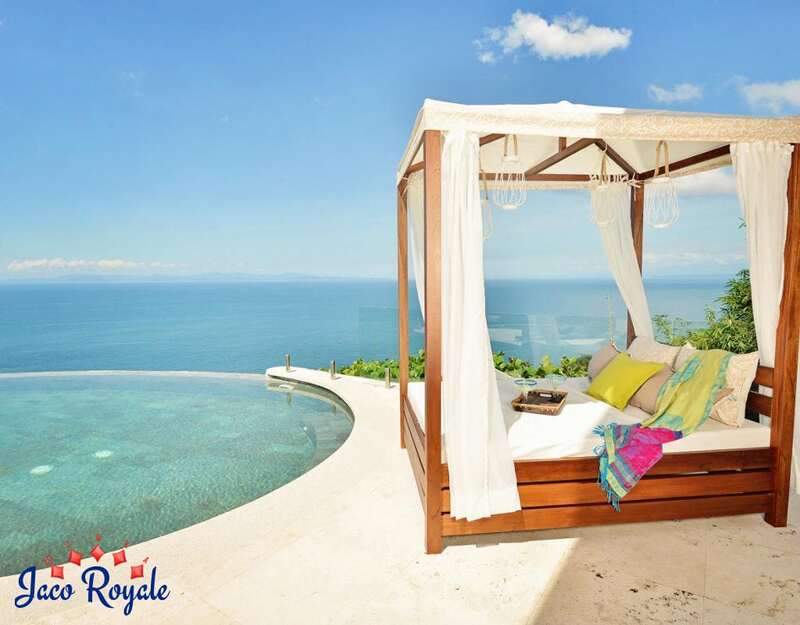 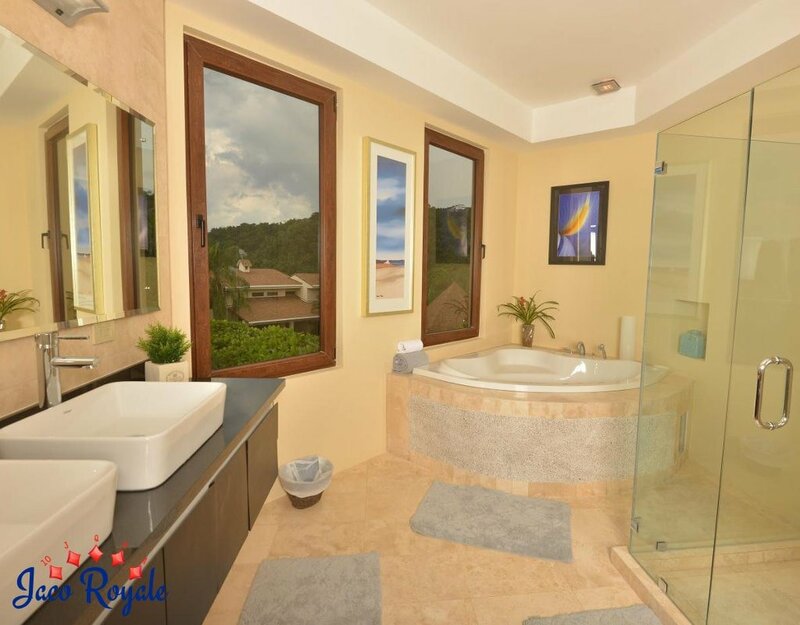 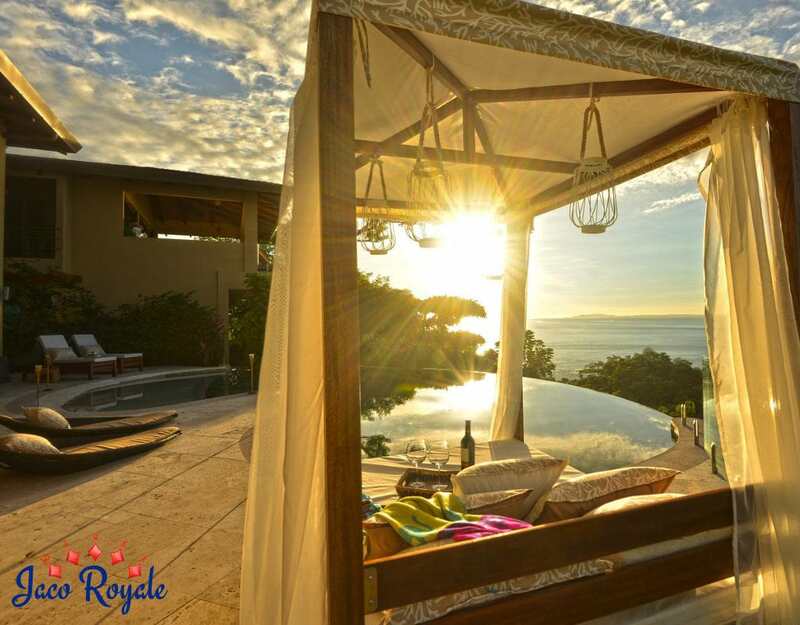 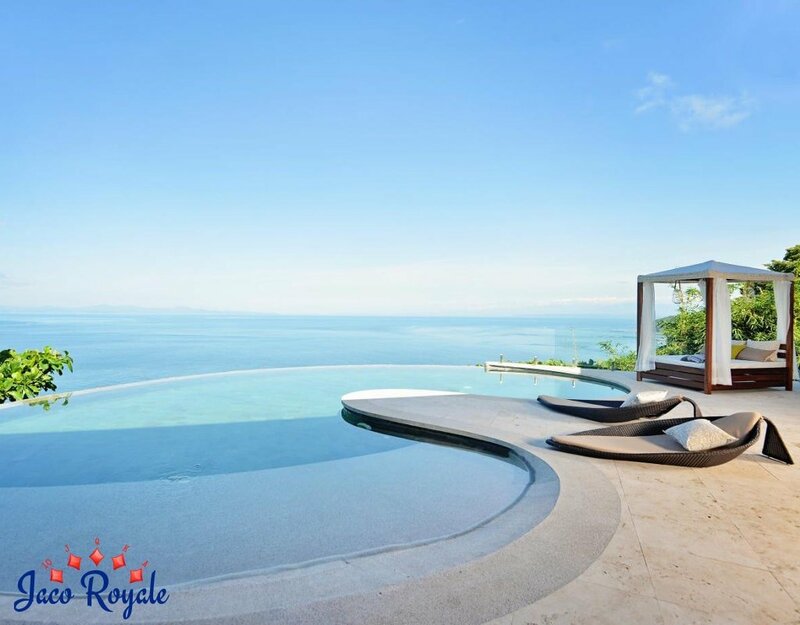 If gorgeous ocean views frame your ideal pic of a vacation rental, don’t think twice about booking Royale Purple. 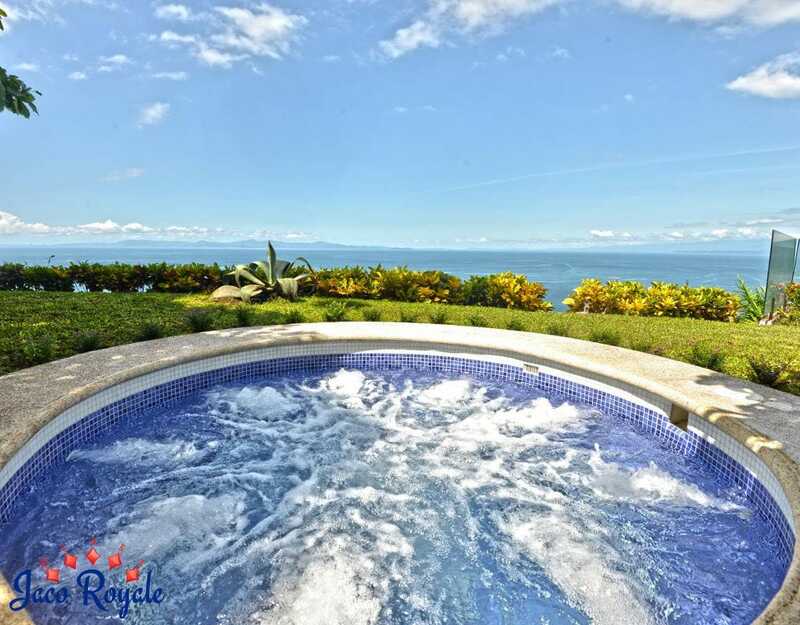 You can spy the glistening ocean from almost any part of the villa – an amazing sight that redoubles the magnificence of the imposing vacation rental. 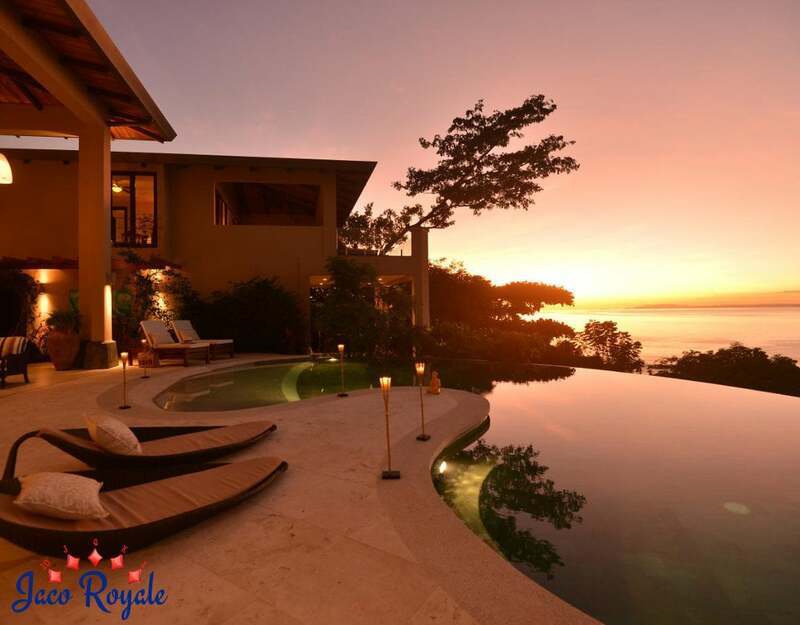 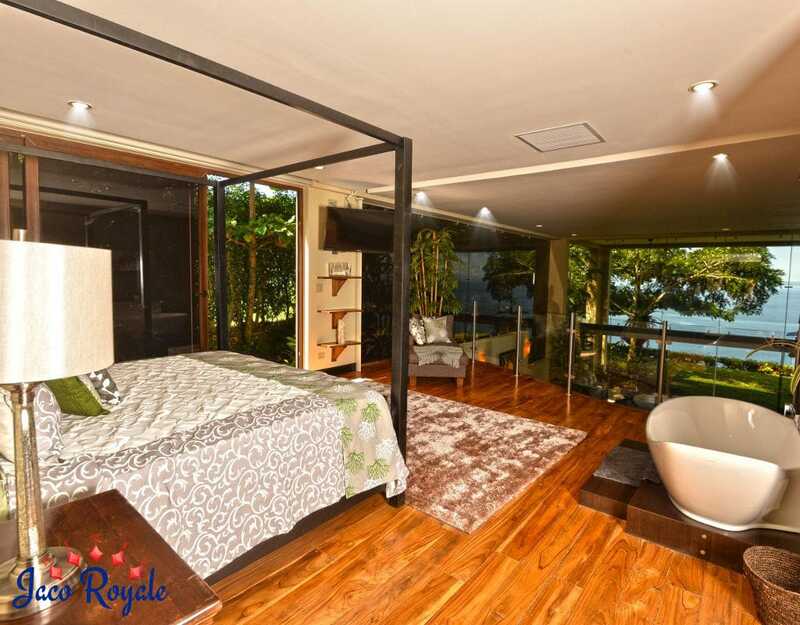 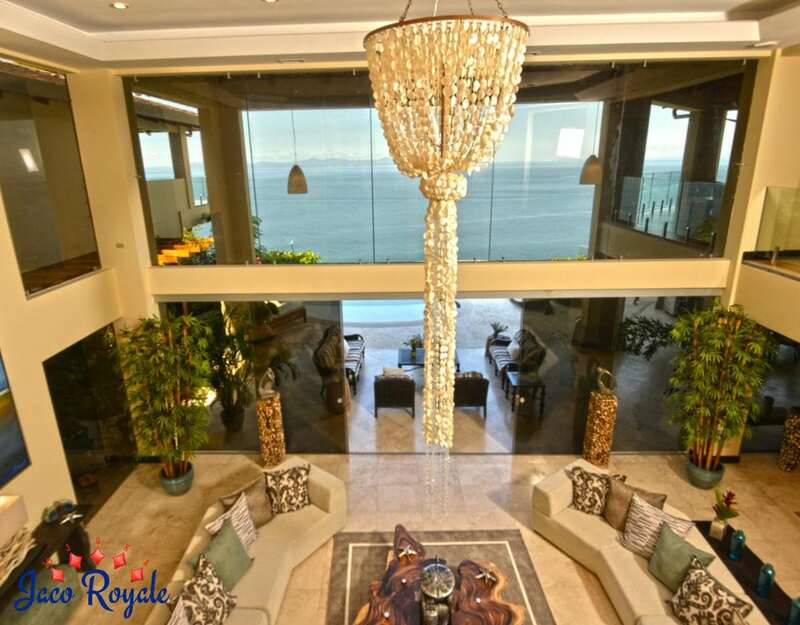 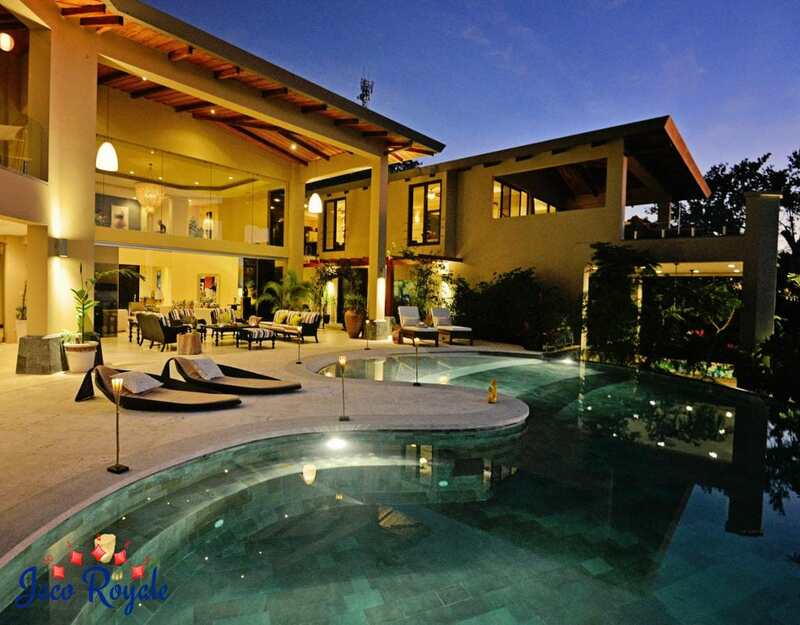 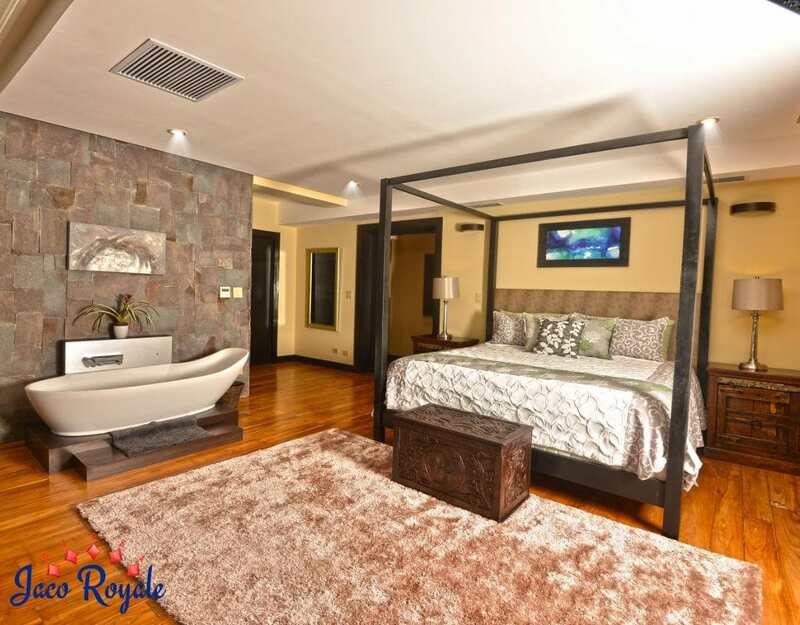 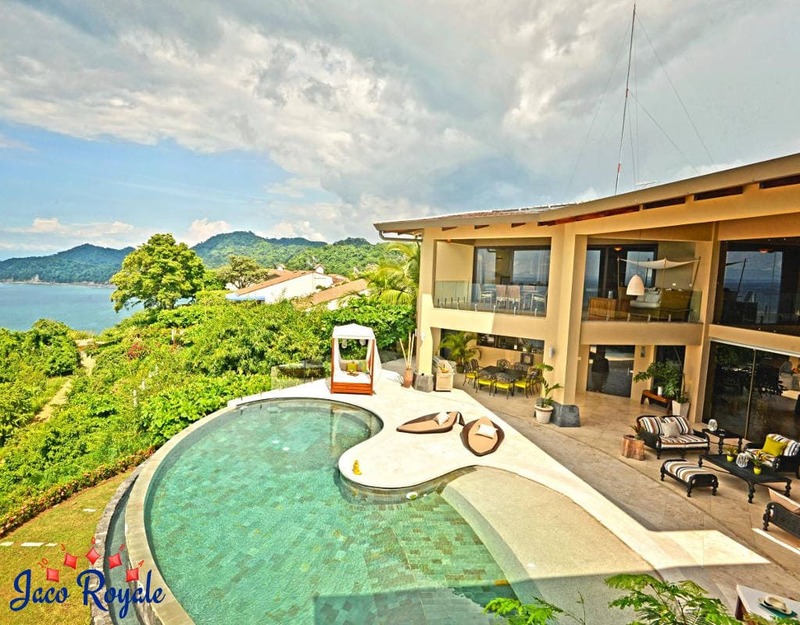 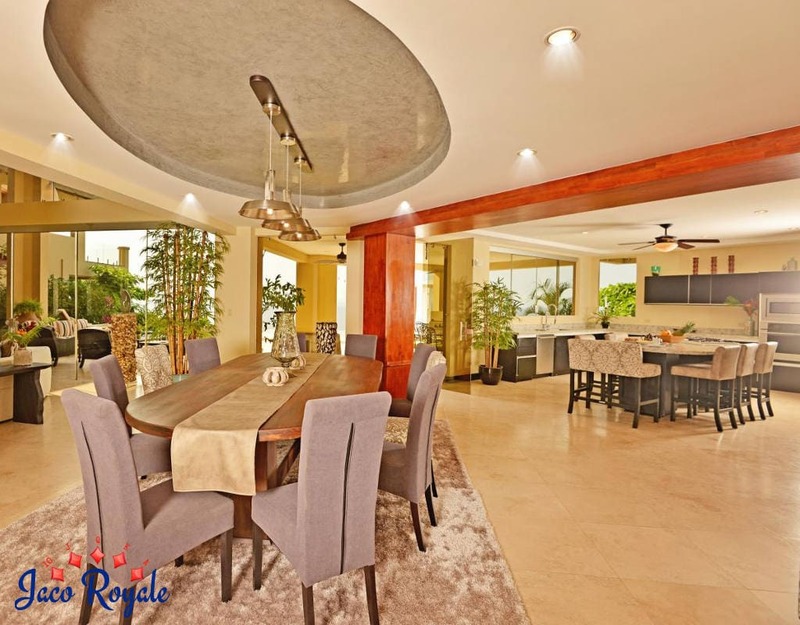 Located in Los Suenos, Royale Purple is a behemoth of a villa, 17,000 sq ft in all. 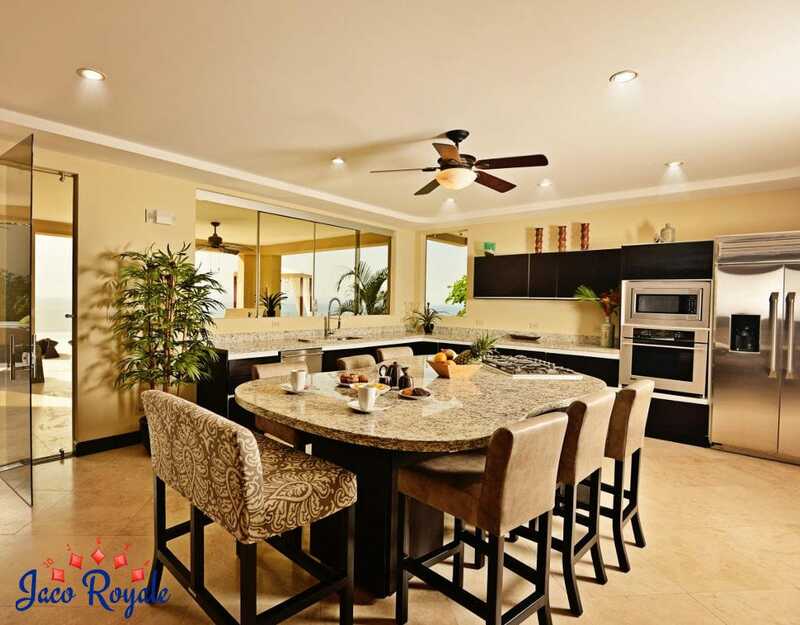 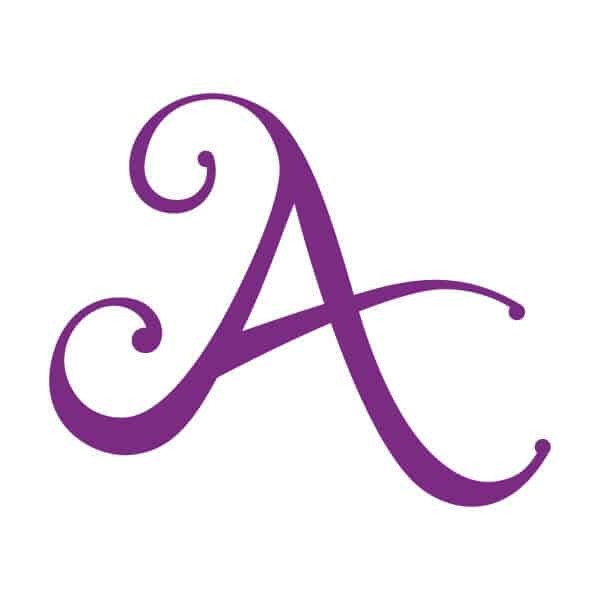 Classy bedrooms, spa-like bathrooms, open living and dining rooms, an expansive patio overlooking a wide sweep of ocean…together they represent the ageless archetype of a tropical paradise. 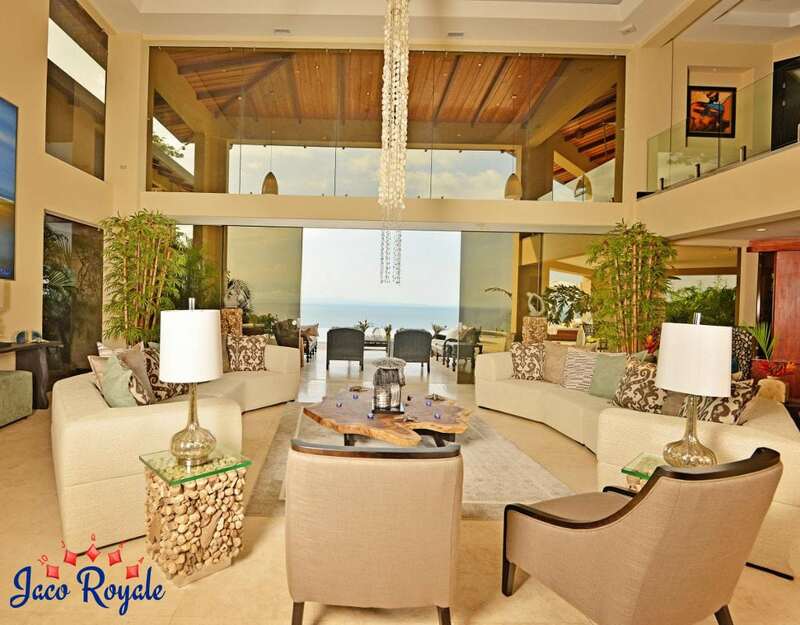 The villa taps into its proximity to the ocean from all angles, even outdoors. 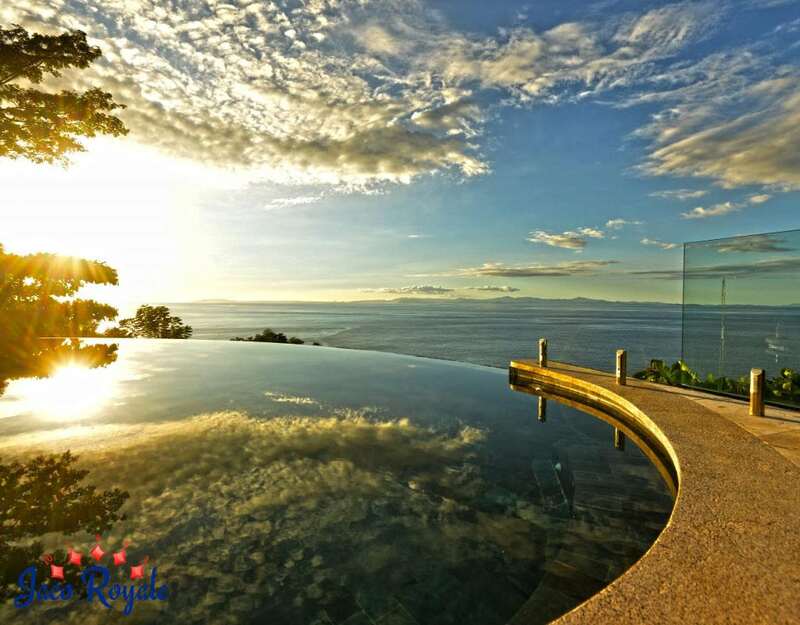 The infinity pool heightens your sensation of merging seamlessly with the Pacific while hugging the bright blue sky close to your heart. 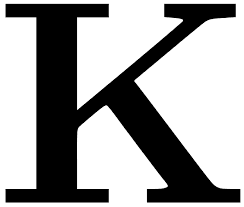 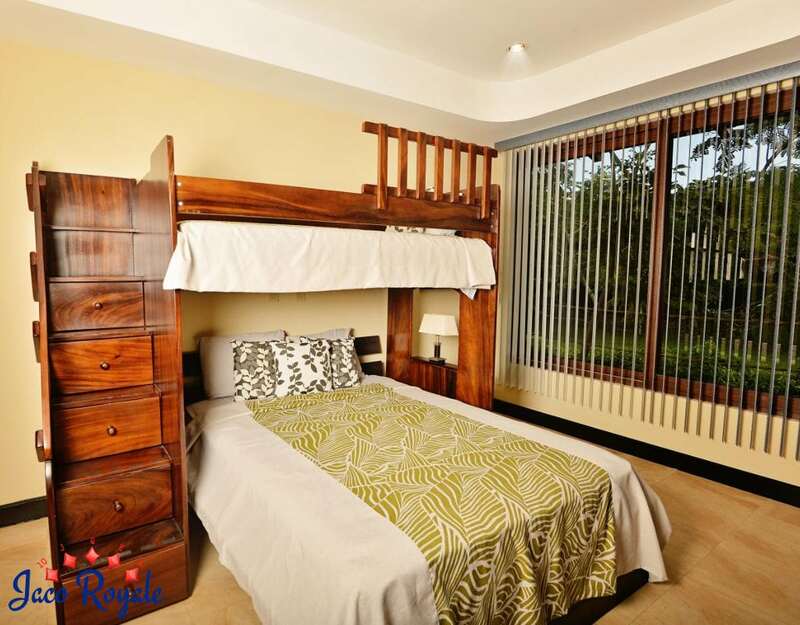 Do note that the villa is rented out only to families.